"Occupational health deals with all aspects of health and safety in the workplace and has a strong focus on primary prevention of hazards", says World Health Organization." Health and safety is obviously an important part of any business, regardless of how remote the risks may be as workplace injuries and accidents are awful for employees, terrible for morale and in serious cases, can spell the end of a business.The concern over occupational health and safety saw its light since the industrial revolution took place. In-order to avoid unforeseen injuries and fatalities, it has become a highly necessary factor fororganisations to implement suitable systems and standards to help lower the risk of workplace accidents. Demonstrating a rigorous approach to occupational health and safety is vital within today’s legislative environment. 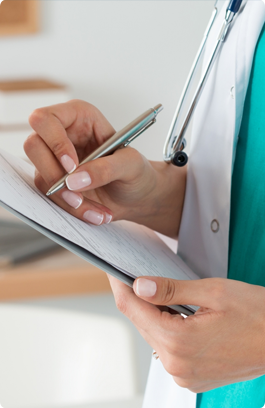 Although legal compliance to the raft of occupational health and safety legislation may be sufficient, businesses with a company-wide commitment to managing the health and safety of their staff stand out from the competition. With various degrees of risks associated with businesses of different nature, a systemic top-down health and safety initiative is highly required to avoid things not to be bound to go wrong at some point, no matter how careful the employees. The bigger the business, the bigger the need for a dedicated health and safety management system like ISO 45001 that includes checks, redundancies and contingency planning.Therefore, to act in accordance with the legislation and to devise a system that ensures a safer environment in the workplace, there is an every need to initiate a management system to help reduce the risks of litigation, downtime and accidents. 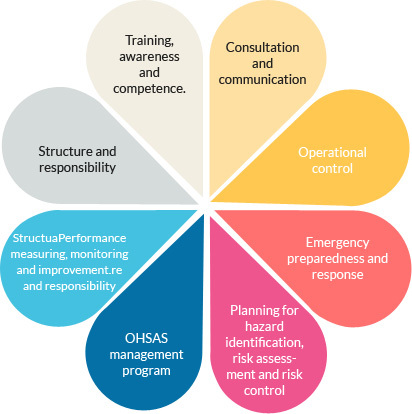 OHSMS(Occupational Health and Safety Management System) provides an example for managing OHS responsibilities efficiently and integrating it without a glitch into the business operations.So, not only do organisations need health and safety systems in place, but they also need some external benchmark to be compared with; some external standard to be followed and checked against periodically. 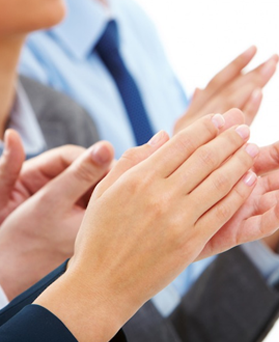 WHO SHOULD GET CERTIFIED TO ISO 45001? 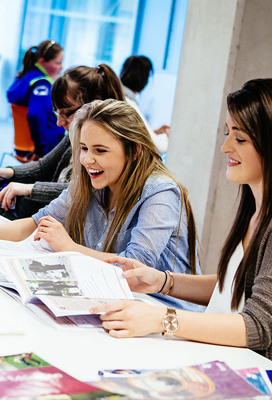 In general, Health and safety shouldn’t be of an one-time implementation rather, it should be of a continuously upheld standard within the company, and needs to be something that employees are constantly aware of and adhering to.It is the responsibility of the employer to ensure that the risks to health & safety in the work place are properly assessed and managed so as to minimize the possibility of accident or incident to employees or others that might have access to the site. The ISO 45001 offers this. ISO 45001 is an Internally recognizedOccupation Health and Safety Assessment sequence for Health and Safety Management System for an organization to get certified against.The standard ensures compliance with current legal requirements and is released with the aim to assist organizations in improve the efficiency of internal operations and reduce accidents in the work place.A Health & Safety Management System helps organizations by providing a framework to improve employee safety, reduce workplace risks and create better, safer working conditions, all over the world.The ISO 45001 certification implies responsibilities, authorities, relationships, functions, activities, processes, practices, procedures, and resources that are used to establish OH&S policies, plans, programs, and objectives for organisations concerned with occupational health and safety.With the objectives and responsibilities of an organization made clear, the company can demonstrate their commitment to improve the quality of the work environment.The ISO 45001 doesn’t concentrate only on pure compliance with legislative requirements, observation of the safety rules and assurance of property protection, but especially in identification and findings of risks and in prevention. The importance of effective occupational health & safety management is now recognised by employees, customers, suppliers, contractors, regulatory agencies, insurers, and stakeholders alike, and is increasingly becoming a primary concern to interested parties. However, to acquire ISO 45001:2018 Certification the applicant companies need to ensure that policies formulated by them are safe for their employees as well environment. ISO 45001:2018 Certification is one of the most common certification that every organization having large work force wishes to obtain which is compatible with ISO 9001 and ISO 14001 facilitating easy integration.In brief, the standard specifies an effective implementation that would help an organization to demonstrateits commitment to provide a safe working environment,which aims at reducing and preventing accidents and accident related loss of live, equipment, time and damage to environment.It exists to help all kinds of organizations put in place demonstrably sound occupational health and safety performance. 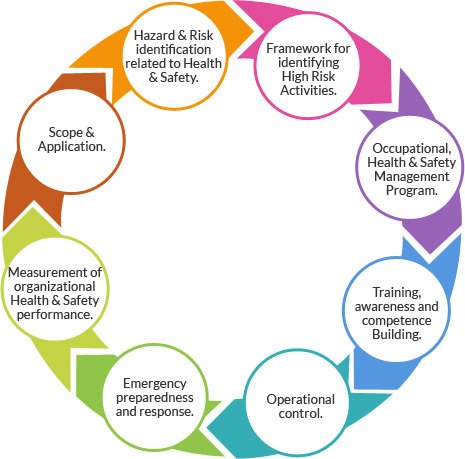 An effective occupational health and safety management system promotes a safe and healthy working environment by providing a framework that allows an organisation to identify and control its health and safety risks, reduce the potential for accidents, aid legislative compliance and improve overall performance.Such integrated standardization approach allows certification bodies to provide organizations with Integrated Management System certification including all the three major standards for Quality, Environment, Health and Safety. In some industries with sensitive processes and complex business systems, it only takes one or two consecutive small mistakes that might lead to a serious incident. In such cases, nothing less than consistently excellent health and safety performance is acceptable when it comes to ISO 45001. The standard is applicable to any organization from all types of business sectors and activities where it focuses on the management of Occupational Health and Safety and the continual improvements that the organization develops to provide stakeholders and others with assurances of conformance with its stated Occupational Health & Safety policy.This system is proven to enable a business to be pro-active rather then re-active when approaching health and safety, therefore more effectively protecting the health and welfare of your workforce on an on-going basis. With Traibcert ISO 45001 certification in place you’ll be able to demonstrate, internally and externally, that you are systematically controlling the risks to all persons affected by the organisation’s activities, products or services.Whatever your industry or trade, our Auditor carry out detailed risk assessments audits and inspectionsmore to ensure a safer workplace for you and your employees. Reduced workplace injuries, death & illness, which reduce related costs and downtime. TRAIBCERT’s experienced and highly-skilled auditors would listen to you and perform an initial assessment to understand audit issues and maximize your chances of being certified.The audit focuses mainly on the areas of the system that needs further improvements inline with the standard’s requirements, in order to achieve the business objectives. Once identifying and eradicating potential vulnerabilities in the management system, the actual audit in relation to the certification begins. 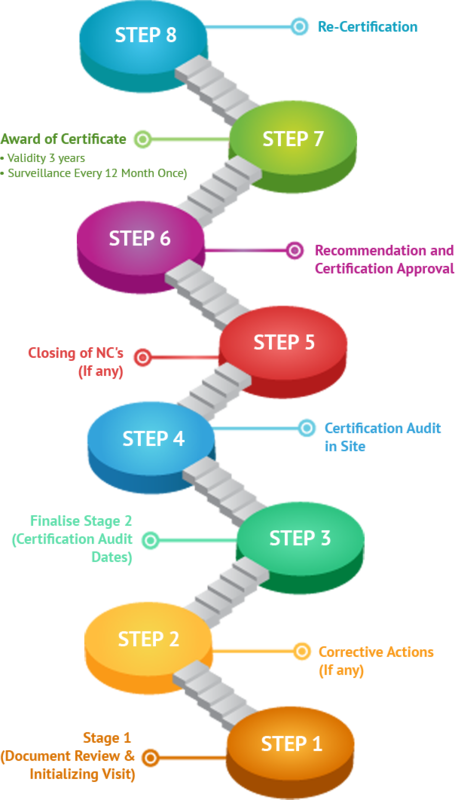 This phase is comprised of a stage 1 and stage 2 audit consists of detailed review where, TRAIBCERT’s auditors with expertise and vast knowledge on the industry sectors, assess your documentation, interviews your teams, analyzes your practices, your data against the requirements of the standard inview of fulfilling the requirements. We strive to reveal observations that can add value through reduced costs, increased efficiency, and decreased time to market. Once our highly competent & qualified auditors who are experts in the sector, identifies that yousatisfy the requirements of ISO 18001-2007, we TRAIBCERT a leading accredited certification body will Issue the ISO 18001-2007 certificate. Annual surveillance of the ongoing optimization of your processes and management system would be carried out to ensure adherence of the system with that of the ISO standards. Upon reaching 3 years from the date of issuance of certificate, the maximum validity of the certificate, we will provide full support to your organization towards the re-certification for the next term. Being able to differentiate Organisation for Competitive Advantage. Improve organisational Credibility & Reputation. Leading to a better public perception of your organization and you could also gain a competitive advantage, leading to improved sales opportunities. Better understanding as to how statutory and regulatory requirements impact on the organization and your customers. Procuring suppliers and managing stakeholders. Being prepared for emergencies, and knowing how to respond. Our expertise lies in assisting organizations to demonstrate their commitment and develop their potential via independent assessments. We make sure that ISO 45001 standard implementation does not become just a documentation activity but it becomes a way of life for the organization that lays a foundation for employee conscious organizational culture. 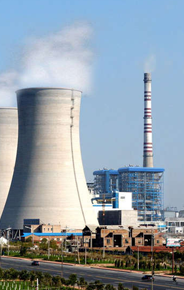 Be assured of our total commitment to your company and we look forward with confidence to the better growth prospects with increasing and mutual cooperation with our valued clients in serving the needs of growing industry. To know more about our ISO 45001 portfolio in detail and to get a quote, please write to us at info@traibcert.in and/or contact us at India: +91-9952078401,+91-9176287301. We will be extremely happy to help you to the fullest.